The past few days have been memorable for us as fans of the Baltimore Orioles. After running into a roadblock against the Tampa Bay Rays to finish up the season, the Orioles entered the post season for the first time in 15 years and played the Texas Rangers on the road in the Wild Card play-in game. They shocked the baseball world by defeating the Rangers, 5-1, on Friday night and now face the New York Yankees in a best-of-five American League Divisional series. Few expected the Orioles to send the Rangers - who had been in the previous two World Series - to an early vacation. The Orioles grinded it out and were able to get going against a tough Yu Darvish for the Rangers on the mound and got on their bullpen later on in the game. Joe Saunders - who started for Baltimore on the mound - did not instill a lot of confidence in Birdland when it was announced that he would be on hill Friday; however, manager Buck Showalter had total trust in his southpaw. Saunders went five-plus innings, and the Baltimore bullpen - which has been excellent all season - came through again late. With that said, the dream season continues for the Orioles on Sunday against the Bronx Bombers. Jason Hammel - who has been sidelined due to injury, his knee - will start game one of the ALDS. The Bombers have announced that C.C. Sabathia and Andy Pettitte will start the first two games for them. 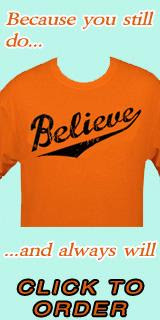 Now, the playoffs are here for the Baltimore Orioles and everyone in Birdland. Never did I think this would come; however, by Saturday morning, we will all know whether the Orioles will take on the New York Yankees or go home. Whether the Orioles win or lose of Friday, a franchise that was pretty much moribund has had life injected back into it thanks to a winning season. Although people look for something into sports that may or may not sometimes exist, the Birds have brought a community of like-minded fans back together and their success has made us all believe more is possible. The future for the Baltimore franchise is brighter than it has even been over the past two decades, and they matched up against the big boys of the American League East in 2012. Many people don’t believe that a manager makes a difference; however, it is clearly evident the influence Buck Showalter has had with the Orioles. He’s changed the culture with the franchise, given his players confidence, accountability, but most important – has given them a winning mentality. Joe Saunders takes the hill against the Rangers on the road in Arlington, Texas, and the season for Baltimore will ride on how his arm. Yu Darvish toes the rubber for the Rangers, and although he struggled in July and August, the tall Japanese hurler has done the job in September. I never thought I'd see this day so soon, but last night the Baltimore Orioles clinched a playoff spot as the Los Angeles Angels lost to the Texas Rangers in game two of their doubleheader. Who would have thought all of this would happen back in Spring Training? I would have been happy with a .500 record and seeing a breakout player come through the organization, but the playoffs and a chance at the World Series? For the first time in 15 years, the Orioles will be playing in the post-season! It's been a long time coming for everyone here, and the losing culture that we've seen hopefully is vanquished from the organization for good.